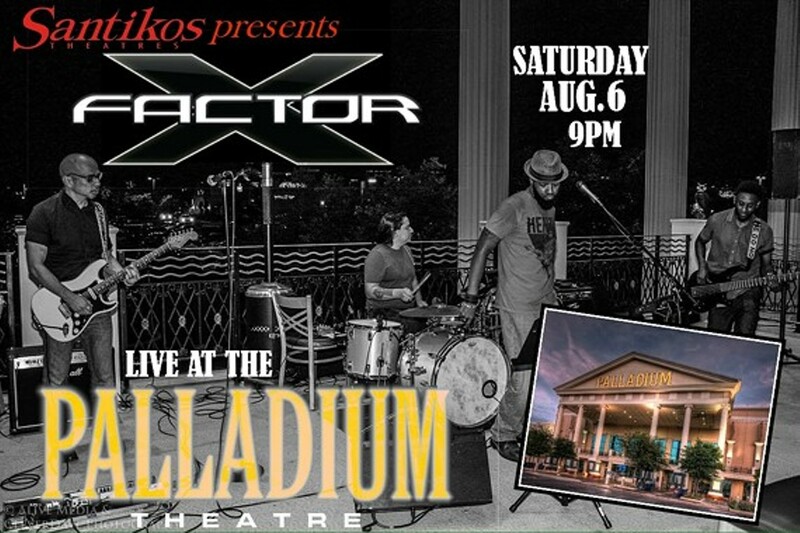 The Santikos Summer Music Series continues Saturday August 6 with the sounds of the X-FACTOR Band! Get ready to dance the night away on the terrace of the beautiful Palladium Theater located at 17703 IH-10 West. The Palladium Concert Series is a free family friendly event with no movie ticket required to watch the performance. Enjoy cold beverages & treats courtesy of the Agora Bar & then sit back & enjoy X-Factor as they perform all your favorite Top 40, classic Rock, 80's, Reggae, & throwback jams from 9-11:30pm.